"Sand Key Market & Deli" is located at 1261 Gulf Blvd, at the Shoppes on Sand Key. They will feature NY style sandwhiches, Philly cheesesteaks, and Barnies coffee along with groceries, beer, wine, and Boars Head products. The Foster Grant Ironman World Championship 70.3 will bring visitors to Sand Key this weekend. The event takes place Saturday morning in Clearwater Beach, and the Harborview Center and Sheraton Sand Key Resort are hosting pre and post race activities. The race begins and ends at Pier 60 consists of a 1.2-mile swim, a 56-mile bike ride and 13.1-mile run, will start and finish at Pier 60. High surf and possible rip currents in the Gulf have closed parts of Clearwater Beach. Yesterday, buoys were supposed to be placed for the swim portion of the Foster Grant Ironman World Championship 70.3 but dangerous waters did not allow for it. The Ironman staff is meeting this morning to determine whether the swim should be moved from the Gulf of Mexico to the Intracoastal. The Foster Grant Ironman 70.3 World Championship is Saturday, with 1800 competitors traversing Clearwater, Largo, Safety Harbor and East Lake. The race will begin and end at Pier 60, beginning at 6:45 am and lasting about 7.5 hours. There will be a 1.2 mile swim on Clearwater Beach followed by a 56 mile bike course on the Memorial Causeway Bridge, Drew St, Countryside Blvd, McMullen-Booth Rd, East Lake Rd, Bayside Bridge, Roosevelt Blvd, Belcher Rd and Gulf-to-Bay Blvd. It will be capped off with a 13.1 mile run through Clearwater Beach, downtown Clearwater, and Harbor Oaks. The swim can be watched from Pier 60, and the bike and run can be best veiwed from the courthouse and the causeway. Parking in downtown Clearwater is recommended, there will be shuttles available for spectators. Police will be present to help drivers at traffic signals along the route. At intersections without signals, bikes have the right of way on the course. Starting 3 a.m. Saturday, drivers won't be permitted south of the Clearwater Beach roundabout. People needing access to and from the south Clearwater Beach will need to use the Belleair Causeway. There will also be delays at the following intersections, most will be blocked during the race. • Coronado Dr at the roundabout, 3 a.m. to 5 p.m.
• MLK Jr. Ave and Court St, 7 a.m. to 1 p.m.
• Drew St and Keene Rd, 7:15 to 9:30 a.m.
• Drew St and Belcher Rd, 7:15 to 10 a.m.
• Countryside Blvd and SR 580, 7:15 to 9:45 a.m.
• McMullen-Booth and Curlew roads, 7:30 to 11:15 a.m.
• McMullen-Booth and Keystone roads, 8 to 11 a.m.
• McMullen-Booth and Enterprise roads, 8:15 to 11:30 a.m.
• McMullen-Booth Rd and Drew St, 8:30 to 11:45 a.m.
• McMullen-Booth Rd and Roosevelt Blvd, 8:30 a.m. to noon. • East Bay Dr and Belcher Rd, 8:45 a.m. to 12:15 p.m.
• Belcher and Belleair roads, 8:45 to 12:15 p.m.
• Belcher Rd and Gulf-to-Bay Blvd, 8:45 a.m. to 12:30 p.m.
• Gulf-to-Bay Blvd to Clearwater Beach, 9 a.m. to 12:30 p.m.
• Medians along East Lake Rd between Tampa Rd and Trinity Blvd will be closed. City Council has decided to put navigational warning lights on the Clearwater Pass jetty, by installing a series of yellow flashing lights on the jetty to warn boaters to steer clear. 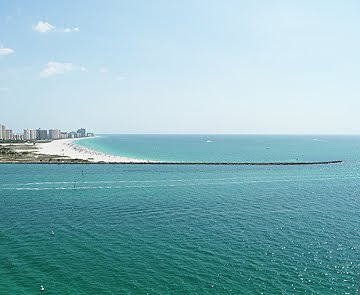 The rock jetty was built in 1975 to prevent beach erosion and extends hundreds of feet into the gulf from Sand Key Park and stands about 7 feet above the water. Boaters are supposed to stay in the marked channel north of the jetty, which has its lights but the jetty has been the scene of several boat crashes. The channel between Sand Key and Clearwater Beach is narrow and heavily traveled. Despite being well lit inexperience, bad weather, or carelessness can cause boaters to strike the jetty in the dark. Another boating hazard will also be removed. There is an 85,000-pound block of concrete submerged in Clearwater Harbor off the Seminole Boat Ramp, the remains of the base of a turnstile that was in the middle of the Seminole Bridge, built in 1917. Concrete can still be seen at very low tides and has been struck several times by vessels. Governor Charlie Crist recently asked the U.S. Coast Guard to install lights on the Bayboro jetty in St Petersburg after a fatal accident on October 2nd where a boat struck the jetty. 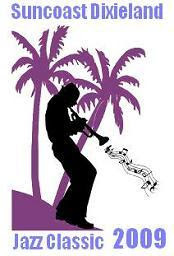 The 19th Edition of the Suncoast Dixieland Jazz Classic continues in the fine tradition of Dixieland Fun in the Florida Sun. The Sheraton Sand Key Resort and Marriott Suites on Sand Key will be transformed into the headquarters hotel for this year's Jazz Classic. The festival runs Friday through Sunday, Nov. 20 - 22nd and will feature bands such as Titan Hot Seven, Wally’s Warehouse Waifs, St. Louis Stompers, Mighty Aphrodite Jazz Band, Cornet Chop Suey, Bill Allred’s Classic Jazz Band, Dave Greer’s Classic Jazz Stompers, Red Lehr’s Powerhouse Five, Wolverine Jazz Band, the Dixie Chaps, Naples Dixieland Jazz Band, the Original All Stars, Palm City Jazz, Pepper and Fine Thyme and Valerie Gillespie Trio. Cost: Friday or Sunday $40, Saturday $50. Weekend badge $100. Call 536-0064 or visit www.JazzClassic.net for more info. There are lots of area events scheduled to celebrate the 4th of July. Take in a parade, enjoy live music and then watch fireworks. All events are on Saturday July 4th unless noted. Overlooking the beautiful intercoastal waterway at Coachman Park, this celebration features the Mostly Pops Orchestra at 7:30 p.m. A spectacular fireworks show will follow at 9:30 p.m. The event includes children's activities, food and beverages for purchase and exhibitor and sponsor booths. Gates open at 4 pm. *Coachman Park 301 Drew. St., Clearwater. Enjoy a patriotic, fun filled Rally that will kick off the First Annual Fourth of July U.S. Constitution boat parade. Festivities will start at noon at Gators Pass. There will be music and prize drawings throughout the afternoon. Decorate your boat - Show it off - Wave Flags! Or, just watch the boat parade sail by just after 3:00 P.M. Starting at 1pm on the east courtyard, enjoy live music by the Cool Daddies or step inside to catch a one man circus. If you've never tried a drum circle, this is your chance, with free drums or bring your own. Live music continues until 8pm. Fireworks start at 9 pm. *The Pier 800 2nd Ave. NE, St. Petersburg. Music starts at 7pm with interactive kids activities near the stage. Fireworks begin at 9pm. Parking is available on site and free. No alcohol, pets, or personal fireworks. *Largo Central Park, 101 Central Park Drive, Largo. The fireworks display will be fired from the city recreation park on Rex Place next to the City Hall complex. The fireworks display will take place shortly after dusk in the County beach park. Launched along the Gulf of Mexico, enjoy the fireworks show starting at dusk. Enjoy fireworks on the beach. Bring your chair or blanket. Fireworks start at 9pm. Take a high speed water sightseeing ride. 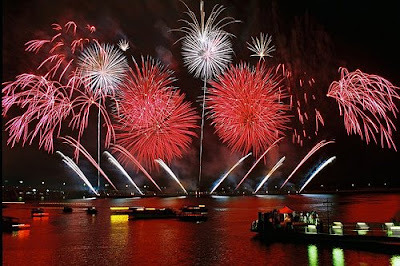 Then, watch Clearwater's fireworks display from the deck of the Sea Screamer. $35 adults, $25 children. 8 pm. The North Redington Beach 4th of July Parade will be begin at Addie Graham Park 173rd Avenue and proceed via Second Street and First Street to Radcliffe Park starting at 9 am. Clearwater Beach has finally struck a deal to build a city parking garage. 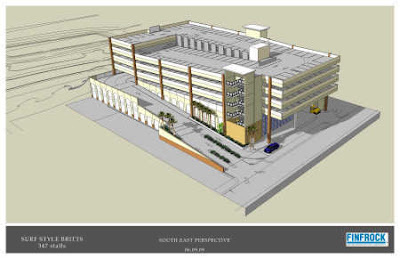 City council voted unanimously on a 300 space 4 level garage atop ground floor retail space. Vehicles will enter and exit the garage from Coronado Drive. The site is currently the home of Britt's Laguna Grill, a popular restaurant on the Beachwalk promenade. A new Britt's will be located on the ground floor. Surf Style Retail Management, who owns the site will pay to build the garage itself, with no city tax dollars. It has not yet been determined what the city will charge for parking, but it will likely be similar the agreement the city has with the Hyatt, which will have 400 parking places for the public in its 750-space garage - rates must be "comparable" to the garages of other beachfront resorts. The Beachwalk project, which was completed last year, eliminated hundreds of waterfront parking spaces on S. Gulfview Blvd, and the city has been scrambling ever since to come up with replacements. The city is currently leasing 2 vacant lots for parking. The project is expected to to be complete by next fall. The contract with vendor who currently provides concession service at the Sand Key Park expires in a few months. That vendor along with 2 others has submitted proposals for the new contract. The current vendor is mobile, selling snacks from a roving golf cart, and hot dogs, hamburgers and soft drinks from a mobile kitchen/trailer. One of the alternative proposals includes a 2,200 square foot elevated pavilion, called "The Sandbar Grill". The pavilion would provide beach concession services, hot meals in addition to the standard beach fare of hot dogs and hamburgers during the day. After 4 pm the pavilion would be used to host "weddings, food functions and other special events and would include providing "controlled and restricted alcoholic beverage services." The consumption of alcoholic beverages is prohibited on the city's public beaches and parks, but Sand Key Park is governed by the County, not the City. Pinellas County will review all three proposals and the city Commission will discuss the proposed availability of alcohol at Sand Key Park at their next meeting. The Islands Independence Initiative, a group of residents from Sand Key, Clearwater Beach, Sand Key and Island Estates are looking into whether the 3 island communities can secede from Clearwater and start their own city. They will present their case tonight at the Island Estates Civic Association meeting. The idea is in its early stages, and they don't know how exactly the de-annexing would work. The will be exploring the legal and practical issues for the next 90 days. They say they are dissatisfied with the service they're getting from Clearwater and have hired an attorney to represent them. Officials say they're doing their best to serve the barrier islands as well as the rest of the city and are disappointed by the initiative. They site Clearwater Beach's library, marina, BeachWalk, and the Sailing Center on Sand Key, among other benefits to the island communities. allowing a developer to seek a rezoning for the Shoppes at Sand Key. Clearwater officials say it would be difficult or impossible to accomplish a secession. 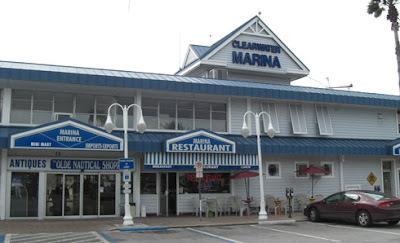 All Clearwater taxpayers — not just the island taxpayers who pay 40% of the taxes — own much of the public buildings and infrastructure along the beaches. And, the new city would need to assume its share of Clearwater debt. It would be extremely complicated, and expensive. Flotilla 11-1 of the Coast Guard Auxiliary is offering an 8 session program, the "Weekend Navigator" starting Monday April 6th and ending April 30. It will be held on Mondays and Thursdays from 7:30 to 9:30 p.m. at the Clearwater Sailing Center at 1001 Gulf Blvd in Sand Key. Participants will learn how to use charts, plotting tools and a GPS. Registration starts at 7 p.m. Monday. Participants are welcome to bring their GPS. The $75 fee includes books, study guides, charting software, and plotting tools. It is open to adults and youths. Call 469-8895 or visit http://a0701101.uscgaux.info. The following sales closed during January, February, and March 2009. Data is obtained from the Realtor MLS data.